Gama Goat Lense Cover. These are new high quality reproductions. Does not include screws or O ring. Gama Goat Lense Red. 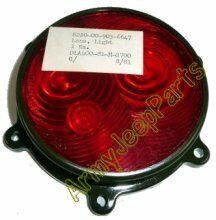 These work on all M series vehicles with the standard round type housings.